We’ve all done it at least once, if only to see exactly how many people you can kill, or maybe find out exactly how threatening all these town guards really are. 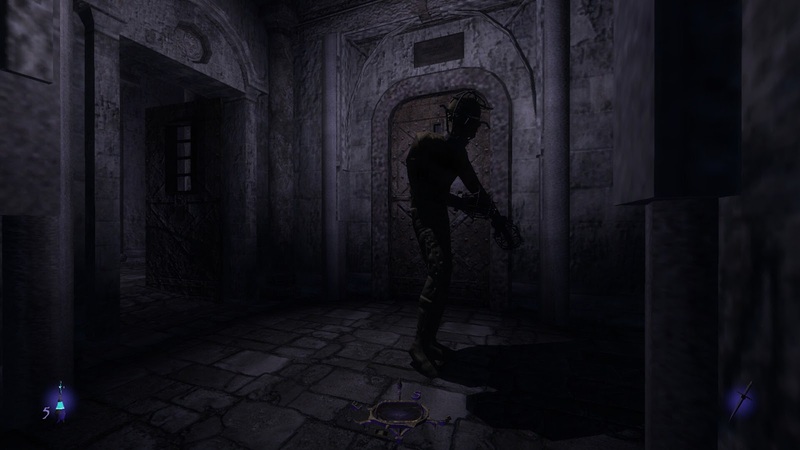 Maybe we get a little bored butchering hordes of the undead and we decide to take out our rage on the innocent instead, and it’s a great way of finding out who’s essential to the game, but it doesn’t stop you trying to hack off their arms. And we can do it all with no fear of repercussions*! We’re a button press away from resurrecting our every victim with every trace of our horrific acts wiped from their memory as if we never drew a weapon. Then we steal everything from them. Admittedly, I am so guilty of this but I really can’t help it! The name of the genre is “Role Playing” for goodness sake. If my character wants a purple suit, with a white shirt and a purple tie, along with smart shoes, you better damn expect that’s how I’m dressing them. Or, if my slightly insane Khajiit Warden from Elder Scrolls Online wants to adorn herself in Barbaric-inspired skulls for helmets, hey, more power to her. But in all honesty, I get it. The purpose of gear isn’t to really look good until the end of the games; that’s when it all comes together, right? But why would you offer us sets and the likes beforehand? Nevermind, min-maxing stats is something that creates some mad looking results, sometimes unintentionally. I just hope that one day we can find a middle-ground between min-maxing our stats and looking stylish and fly. Yeah, I said fly. I’m so guilty of this, it’s unbelievable. 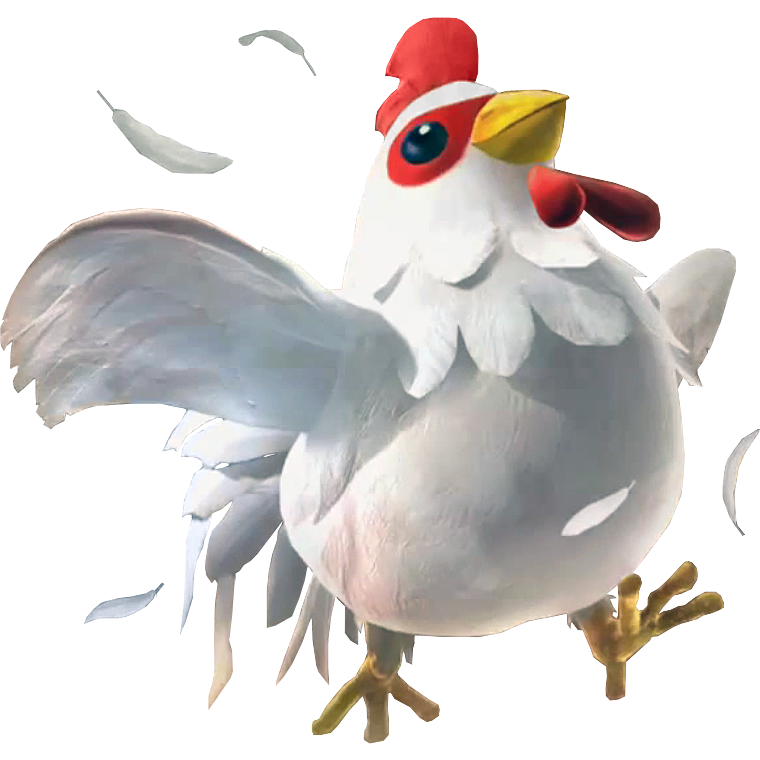 In Earthbound for instance, the latest character to join the heroes is Prince Poo (no, really, that’s his name). This little prince can get a set of armour and a weapon known as the ‘of Kings’ set. All of the set is contained within presents, when you are learning about the character. The exception to this rule is the Sword of Kings, which has a 1 in 128 chance of dropping from a Starman Super at the Moonhenge Base. Guess who had to have it? 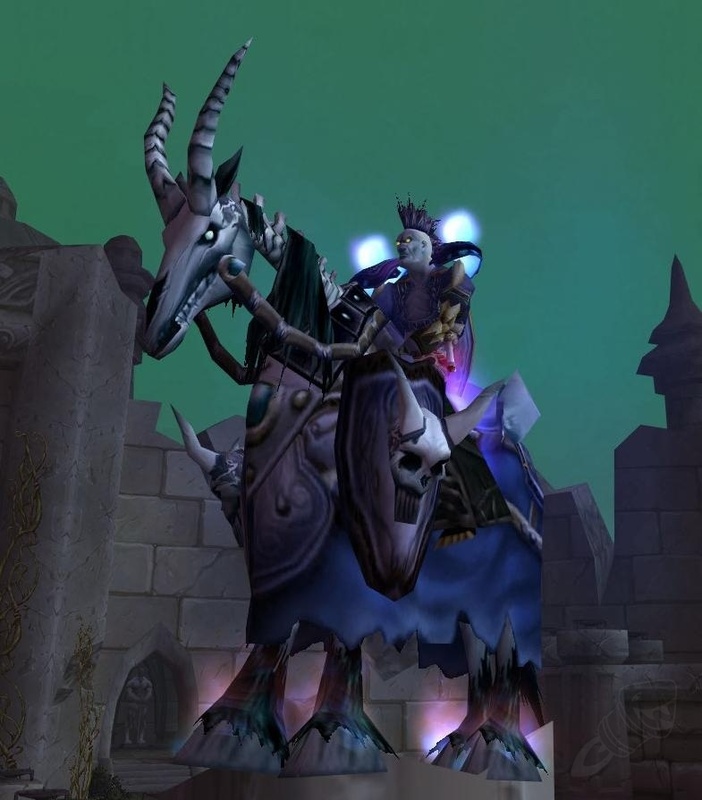 Guess who else had to have an exceedingly rare mount in World of Warcraft? Me. I’m this person. I’m the person who’ll grind until he gets something. I’m the guy who liked No Man’s Sky on release, as I really didn’t mind the grind. I’m the guy who likes to find the rarest, or the best items and just grind for it, no matter what it’s actual worth is. I love the rare stuff, so what? I just have to work for it – and I’m part of the problem on this front… and I’m fine with it. Livestock are a fun little addition to any RPG, because they add a lot of depth and flavour to a village, town, city or even a farm. You can tell the sort of things that place produces, as well as part of the staple diet or ways the people survive. They’re great distractions from serious events. Then there are pets, who are usually harmless and worth petting a few times – and finally there are children… Like this little brat. However, if you’re telling me that you’ve never killed wildlife, livestock, pets or even attempted to kill the kids (you wrong-en), then I’m impressed. Don’t get me wrong, I am certainly not advocating that you do these things – You do you, play your games your way – But so many people go on killing sprees of these harmless critters and kids, that it’s amazing that RPGs still put them in. Didn’t we learn from The Legend of Zelda? Don’t attack the livestock. Don’t do it! Ignore for a moment the bland copy-pasted or procedurally generated NPC you just snubbed mid-syllable, while they told you in depth the what, how, why, and maybe whom of your quest (easily replaced by a tiny arrow on the compass or minimap). That dialogue was written, and in many cases voice acted, animated and lip-synced by professionals, whose hours of painstaking work you just breezed over with a click… or pressed X or whatever. Sometimes there’s some important information to be gleaned, sometimes you don’t just get to peruse your journal for the hint, sometimes there’s a good story, and you’re missing out by not giving someone a fair chance to speak. On the first playthrough, seriously who cares after that? Hey look, it’s a new critically acclaimed Role Playing Game! Oh boy, I can be any character I want! I can be a character who sneaks too much. I can be a character who sneaks too much. I can be a… character… Who sneaks too much. Huh. It’s fine to have preferences, but part of the joy of both video games and tabletop is the exploration. This isn’t limited to just playing the game that’s been given to you. If you’re an avid gamer, you’ve probably got gameplay styles you prefer. 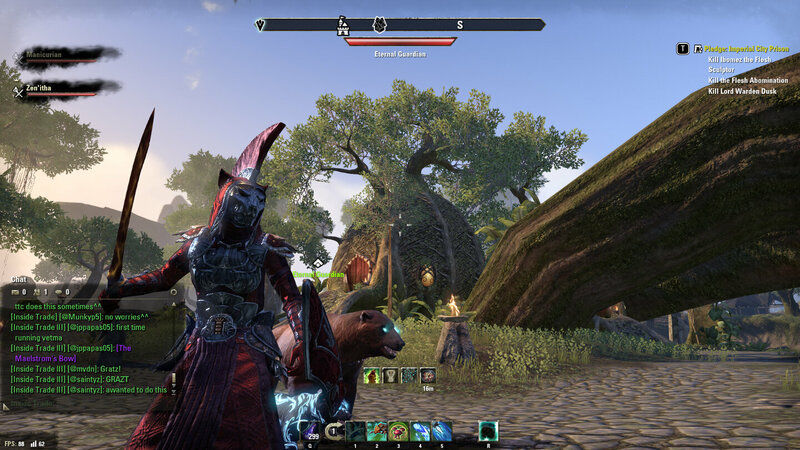 You might really like archery, or you may be a mage – Perhaps you’re a sneak thief or a mighty warrior. Whatever you are, don’t get stuck in an infinite loop of playing the same character in different games. At the very least, just, vary it a bit. Find a new way to interpret that character or something. Don’t keep being the same character, please for the love of Cthulhu we are fed up of you being the exact same character! Or, y’know, you do you. This is why gamers make old people nervous (I kid, I know plenty of older people who love them some petty larceny). Put us behind a keyboard in a world with people with moderately well simulated emotions and adverse reactions to having their belongings stolen, and the first thing we do is steal everything. If there has to be some injuries along the way, so be it. Oh and don’t think you’re getting away with this one tabletop players! You’re the worst, no video game I know has the ability, let alone the reputation for burning down orphanages. Your crimes are well documented, heinous, and not so quickly forgotten as by AI NPCs, there’s a real intelligence at play, one capable of harbouring grudges. I talked about this at length a little while ago but it bears repeating. We are bad people! There’s only so much money in the coffers and we are determined to drain it all by selling on our useless junk and cast-off magic items, whilst buying nothing. And why should we, what can we buy that can’t be picked from a fresh corpse or pulled from an ancient chest? We sit, dragon-like on mountainous hordes of coin and weapons, unwilling or unable to part with a fraction of our wealth, waiting for a TV crew to arrive with our weeping relatives in order to finally and publicly address our problem. Actually, we should make that a game… or maybe a DLC for Elder Scrolls VI. Oh my god he just ran in to the second place on this spot (see what I did there?) Leeroy Jenkins is a classic of video game history now. 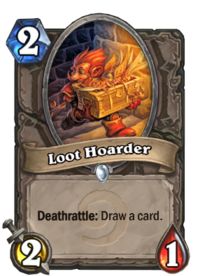 He became one of those internet memes which blew up far too hard, got cashed in on by Blizzard (understandably in some ways, greedily in others). Anyway, ignoring the circumstances of what happened to the Leeroy character, there’s something to be said here. Leeroy-ing, or just rushing through a game, is such a common way through Role Playing Games these days. I once had someone ask me how I can play the same games over and over again; how it can take me 3 or 4 times longer to beat a game. I’m thorough – I can’t zip and dash and roll around. I have to investigate, I have to converse, I have to experience… And isn’t that what Role Playing Games are all about? Well if saving the world was so urgent, why are there all these other fun things I could be doing? Sure, I could be storming the gates of the fortress where Dark Lord BBEG has been cultivating power ready to strike down all who would oppose him, but this guy promised me a new gun if I can play the slot machines a few times and get his dog out of the coin hopper. It might be a really good gun! Every RPG worth its salt is awash with distractions, things that pull you out of the adventure at hand and that will often send you into some new adventure, filled with possibilities and excitement that you can’t just abandon now, things are just getting interesting. And the main plot might finish the whole game before you reach the end of all these other, more interesting plots. Not all Bad Habits are actually all that bad – A lot of them are because the games let us do these things. As gamers, we’re a strange bunch. We like to see just how far we can take our games, so in today’s honourable mentions, we’re looking at what modern RPGs do to help us make our time as well spent as possible. To be fair, it does save a bit of time and gives us the chance to get straight into the meat of gameplay… but y’all got lazy and you know it. How many of you have ever fast-travelled knowing full well you’d be faster walking? And just think of all the experience and loot you’re missing out on by not taking the walk to your intended destination! 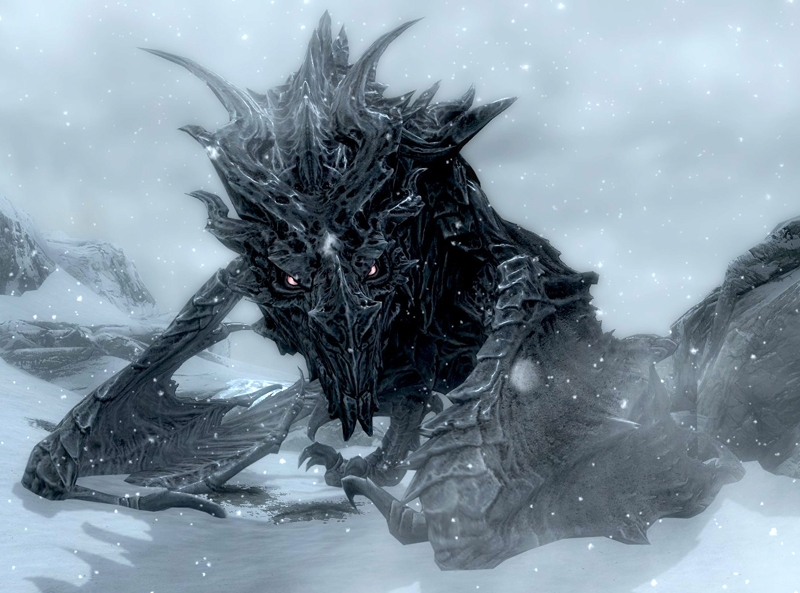 Remember that time we turned Alduin into Thomas the Tank Engine? Ha, ha, those were the days – and indeed mods are a fantastic way to keep a game you love alive and well. Mods are a great showcase for up and coming developers, or even veterans who just want to have a bit of fun. You can do just about anything to a game with a mod, which makes it so appealing to do so. However, by installing these mods, you’re really no-longer playing the game you picked up. Oh sure, a mod that changes a skin isn’t all that bad, but when you introduce a mod that changes the way a game is played, then you’re arguably not playing the same game. Don’t try to say it is the same game, if you’ve downloaded a mod that lets you take a Sim and get all of the stats to the max, more power to you, but you’re not playing the same game as everyone else. … But enjoy the copious amounts of mods you can put in games. Sometimes, that can turn an older game into something way more exciting! Oh, no, I see, you’re skipping the dialogue again. Good job. Well, if you’re done with being so rude to us and skipping to get to the choice parts, below are next week’s Top 10 choices so choose now. No, you can’t go back to hear what we would have said. Now that you’ve Leeroy’d your way to the bottom of this list, perhaps you’ve looted all of the items from today’s list. Did we choose the right bad habits, or did we forget a huge bad habit that you or someone else you know has formed? Share all of your thoughts and opinions in the comments section below, or over on Facebook and Twitter. This entry was posted on February 2, 2019 by GeekOut Team. It was filed under GeekOut discussion and was tagged with bad habits, Committing crimes in an RPG, Fast travel in RPGs, Habits, Ignoring the main quest in an RPG, Leeroy Jenkins, Loot hoarding, Low-Chance Drop Items, making a matching outfit in an RPG, Playing the same way over and over, Role-Playing Game, Saving a game before killing an NPC, Skipping the Dialogue in an RPG, Top 10, Weird mods, Wildlife and Livestock in RPGs. 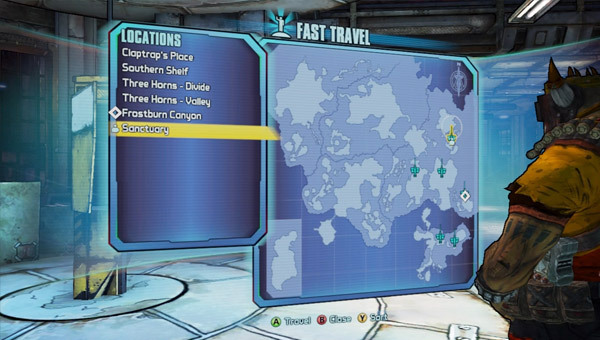 Side-Quests are so important! They really help you with not only getting gear, experience etc, but also understanding the world you’re running through. I am bad at ignoring the main quest and will actively avoid it until I’m sure I’ve run out of any interest in anything else that is open at that stage of the game. It ends up making final battles kind of pointless because I’ve usually done so much grinding and levelling that I end up being too strong and having too much equipment for final fights. Then again, I’m also bad at choosing fashion over function. I almost never equip a helmet because I spent a long time choosing that hair style and colour. I was crushed by enemies in the first Oblivion gate so I went off to do the side quests. All of them… 8 game months later, I return and squash all the enemies quite easily.